Drafting a surrogacy agreement is one of the more challenging areas of reproductive law as the rules and requirements can vary depending on what state you’re in. Some states like Virginia are on the more restrictive side of the law while California is one of the less restrictive ones. Florida lies in the middle, so it is important that you ensure your intended surrogacy agreement is legal and will proceed. Because the law can be so complex when dealing with surrogacy matters, hiring a Boca Raton family law attorney with experience in Florida surrogacy matters can be beneficial. Two types of surrogacy are legal in Florida — traditional and gestational. The traditional method involves fertilizing an egg inside the surrogate using the father’s sperm. Gestational surrogacy involves in vitro fertilization (IVF) and the egg is fertilized first then implanted in the surrogate. 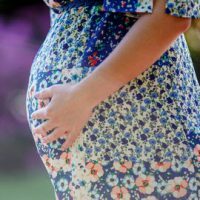 Gestational surrogacy has become far more popular and the traditional method only compromises a small percentage of surrogacy agreements today. Before you prepare to draft your surrogacy agreement, Florida sets forth requirements under Chapter 742 of the Florida Statutes on who is eligible to enter a surrogacy contract in the first place. In addition, before a contract can be drafted, parties must be cleared to proceed — both physically and psychologically. You do not just sign a medical consent and suddenly are entered into a valid surrogacy contract. The surrogate must agree to undergo reasonable medical treatment and follow all reasonable medical advice on prenatal care. The gestational surrogate is the only person with legal consent to IVF and management of the pregnancy. The surrogate has to agree to give up all parental rights when the baby is born. The commissioning parents are willing to take custody of the baby after it’s born. The surrogate agrees to take custodial and parental rights for the baby if it turns out that neither of the commissioning parents is a genetic parent. Florida law also covers what can be paid in regard to surrogacy agreements in the state. You cannot pay a surrogate an unreasonable amount; however, you can pay for related medical expenses for all phases of the pregnancy and labor, as well as reasonable living and legal costs. Because of the complexity surrounding surrogacy agreements in Florida, each party must have independent counsel. If you’re contemplating surrogacy, contact the Law Offices of Schwartz | White at 561-391-9943. Let one of our skilled family law attorneys help you navigate the challenges of drafting a valid surrogacy agreement.